You will earn more points for attacking Invaders and Uber Invaders and yielding resources in a foreign Kingdom than for the same actions in the home Kingdom. Note that during the Clans Battle, you can attack any Town of the opponent Clan regardless of its Palace level (such Towns are highlighted in red). 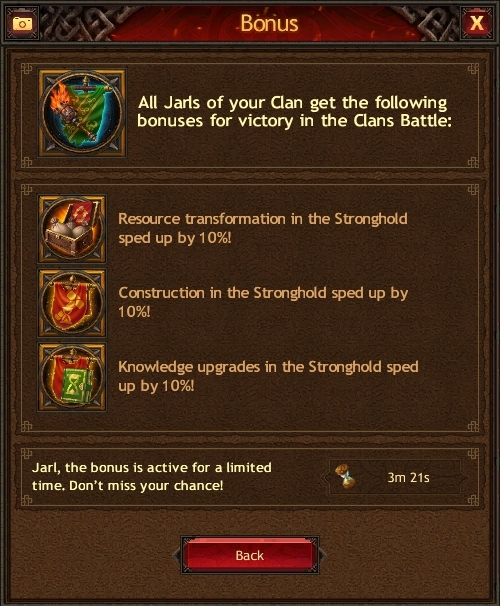 However, attacking Jarls who are not members of your opponent Clan will not earn you points for the Competition. If you joined the Clan after the Clans Battle appeared in the Events window, the points you earn will not count towards the total Clan points, even if you complete all the Competition's required tasks. 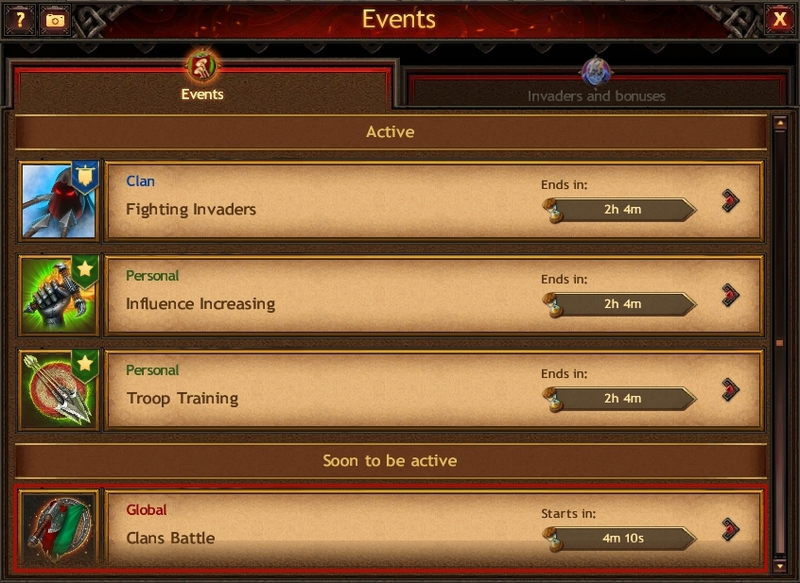 In order to make your earned points count, you need to become a Clan member before the Clans Battle appears in the “Soon to be active” block. 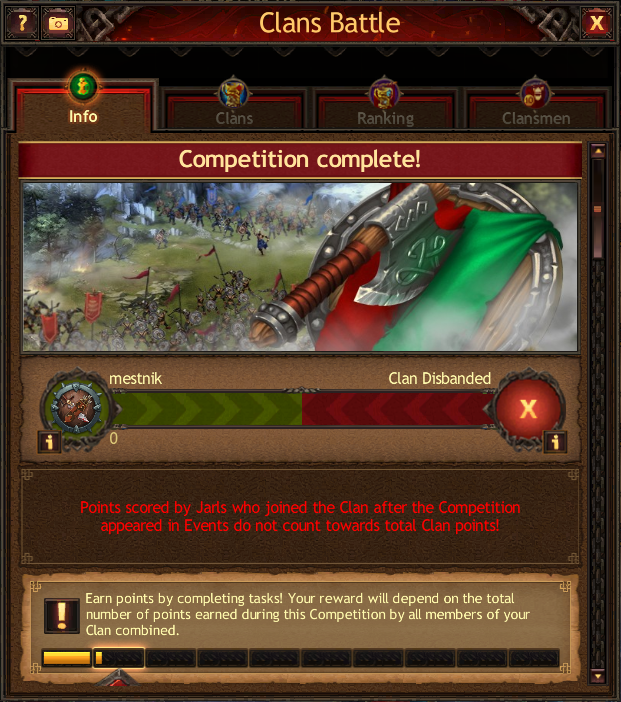 If during the Competition one of the competing Clans is disbanded, it loses all points earned, and the Clan that remains becomes the winner and continue to earn points for completing tasks except for destroying enemy warriors.